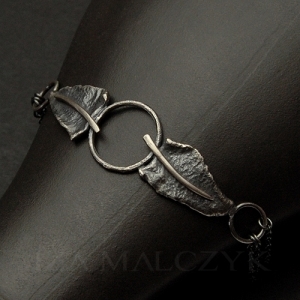 Subtle bracelet built around the leaf motif. Reticulated silver combined with heavy oxide. The bracelet is 19-22cm long (it can be adjusted upon request). The decorative segment is 16mm wide and about 7cm long.